Trouble nursing or taking a bottle due to nasal congestion. · Tip your child's head back or lay him on his back with a rolled-up towel supporting his head. · Squeeze two or three drops of saline solution into each nostril to thin and loosen the mucus. · Squeeze the bulb of the syringe, then gently insert the rubber tip into his nostril. · Use saline and suction. · Make sure he gets plenty of rest. · Offer extra breastfeeds or bottle feeds. Your baby will need plenty of fluids to fight off the infection. · Give the correct dose of infant paracetamol or infant ibuprofen. · Breathing in steam may help to relieve your baby's cough. · Remove the bulb and squeeze any mucus onto a tissue. · If your baby gets really upset when you use the syringe, try saline drops instead. · Squirt a small amount into his nose, then gently swipe his lower nostrils with a cotton swab. · Be careful not to insert the swab inside his nostrils. A few home treatments can make your little one comfortable again. · Try Saline (Saltwater) Drops. You can buy this at the store. · Remove the Sticky Stuff. 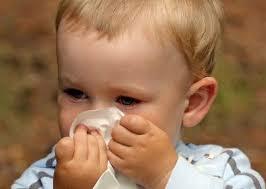 · Sometimes mucus hardens into a crusty or sticky mess around your baby's nose. · Know When to Wait It Out. · Get to the Root of the Problem. · Suction With a Bulb Syringe. · Take a Steamy Bath. · Run a Cool Mist Humidifier. · Keep Your Baby Hydrated. · Keep Your Baby Upright.